We have lots of store bought paint but I think E almost enjoys the homemade kind more. Mixing it definitely adds to the attraction, and it’s always exciting to see how these simple homemade paint recipes work out. All the materials are very simple, so you can try one or two or all of them right now! We hope you enjoy them as much as we did! One of the first homemade paint recipes we tried when E was just over two years old was Shaving Cream Puffy Paint. 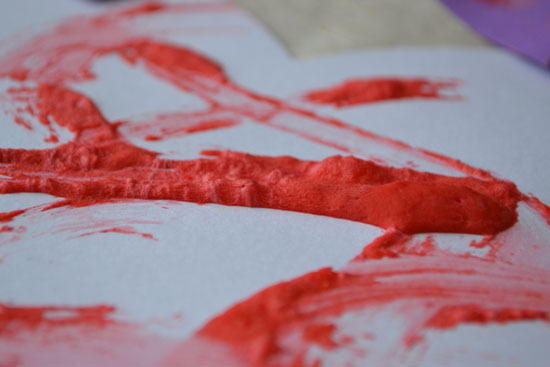 E had insane fun with this paint, turning the activity into a full-on sensory experience. 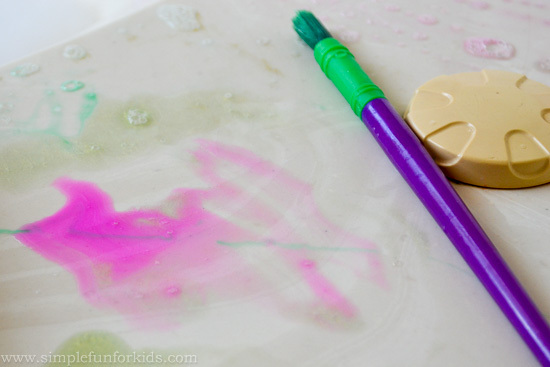 Microwave Puffy Paint is a variation on the theme that requires drying in the microwave. 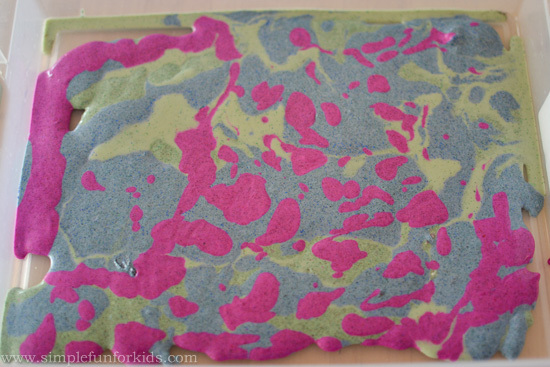 For the third type of puffy paint we tried, we added sand – it made the texture even more amazing: Microwave Puffy Sand Paint. 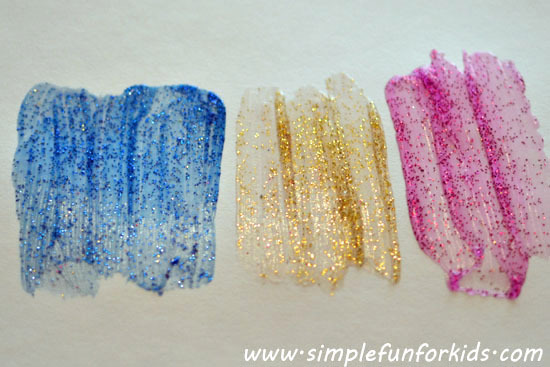 On another occasion, we made super fun glitter paint from three ingredients. 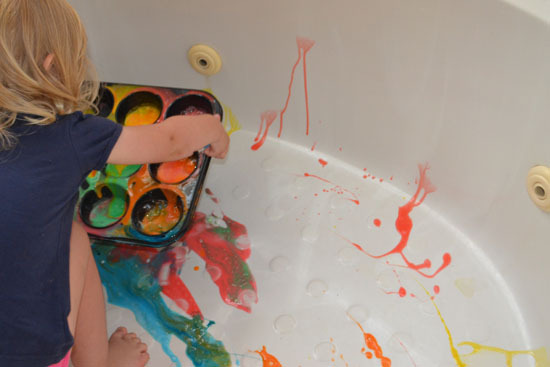 E is a big fan of process art, and it’s never more fun than in the bathtub. We’ve made super colorful bubble bath bathtub paint (and accidentally dropped it less than gracefully into the bathtub 😉 ). When E had a bad cold once, she had fun with Eucalyptus Bath Paint that helped her breathe more easily at the same time. 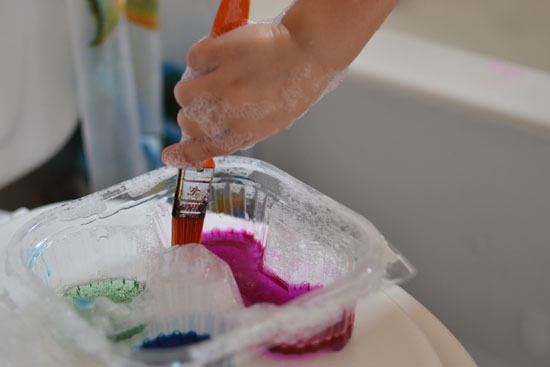 Another fun variation on bath paint was this Quick Bath Paint recipe from two ingredients. 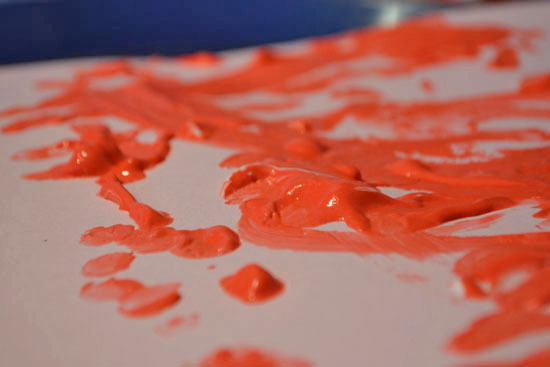 Have you tried making your own paint before? 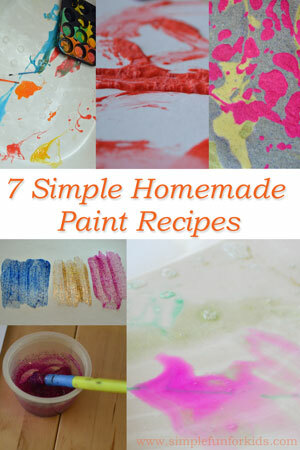 Which of the seven simple homemade paint recipes above is your favorite? Leave a comment – and feel free to add a link if you’ve written about it!